This is the best combo deck in PDH if you like black. Unless of course, you don't like killing yourself. I hear you asking: What? Why would I want to kill myself? Okay, lets start over. Look at the commander. Look at that card advantage. Next, look at that life loss. We play all good PDH sac outlets known to well, me in this deck. Our deck requires extreme amounts of mana to cast and recast Corpse Augur Through Commander Tax (preferably with Tortured Existence instead), and after killing one (or two or three) player, it is extremely likely you won't ever be able to either cast your commander, or have enough life to combo again. 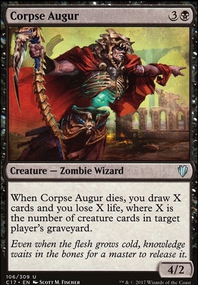 ( Corpse Augur says 'Target Player' so you don't have to use your own Corpses). With both black Fling effects in pauper, we can gain enough life to possibly win using Horror of the Broken Lands , Grisly Survivor , Moodmark Painter , etc. Back to the mana: I present to you Skirge Familiar . This (thing?) converts cards directly into mana, which is alot of mana. With our commander we can draw cards until we die of life loss, so we plan on winning before that. You typically can kill one person, and only one person. So you just have to last until then. Although, it is true you can theoretically kill all 3 of your opponents. Don't count on it. Also thankfully, we don't have to cast our commander with commander tax. We have Raise Dead ! 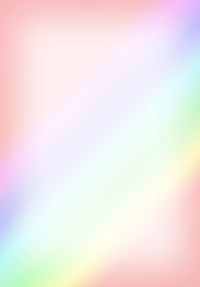 (Effects, not the card). With things like Tortured Existence , we can draw until we die! This deck needs Politics to combo: You won't last without friends in high (or even low) places. This deck is not Pauper EDH legal.